A set of two seamless glitter styles for PSE and PS. Thanks for the glitter styles, and the other freebies from the last couple of days - most kind of you! tyfs, i hope i'll be able to use it ! tyfs, and have a good day ! Thank you so much for sharing!! :) Have an AWESOME day! Thank you! 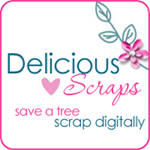 Your blog post will be shared on the CU Freebies Only Forum Your Place to find Commercial Use Scrap Booking Freebies! Thanks For Sharing your Time and Talent with us!. Thanks for sharing! Can't get enough glitter! Oh my goodness tfs!! I love glitter!